It’s been a while since the last time an RPG was developed for Android, and now Crusaders Quest APK 2.7.7.KG will fill in the shoes. It is a new RPG genre game from NHN Entertainment, and it is the answer for the gamers who are too tired with casual games. As the newest Role-Playing Game, you will be brought into an epic adventure in the world of Hasla to uncover the tragedies and mysteries that have shrouded the land. As you try to unfold the story, you will gather many warriors, wizards, and heroes. With over 200 characters to use, the story will be fierce and long. Crusader Quest is an RPG game that will bring you back into the golden age of RPG. First of all, the 16-bits graphic will bring the nostalgic touch to the game. New Hero ‘Bihyeongrang’ has arrived in Hasla! 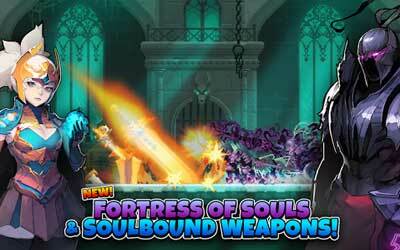 New Ancient Dungeon to test your team’s skills!